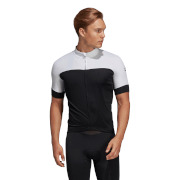 Fit - The Origine classic fit long sleeve jersey is made of Pirenei material that is light and soft on the skin. Jacquard silicone elastic waistband for excellent fit and to help keep the jersey in place. Performance - The Pirenei polyester blend is so light you’ll barely notice you’re wearing it, yet it is warm and breathable. The fabric used is warmer and has much better wicking properties than typical thermofleece. The large triple back pocket is perfect for holding everything you want to take with you. 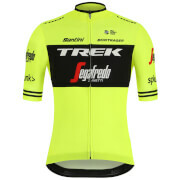 3D reflective logo at the back for added road visibility. Comfort - Engineered to maintain thermal balance for the autumn days. The collar and the back are made in Blizzard. Perfect with a light jacket in case the temperature suddenly drops. Durability - Long-lasting fabrics that will look and perform as new after hundreds of rides and washes. Designed and manufactured completely in Italy by our world-leading production staff.